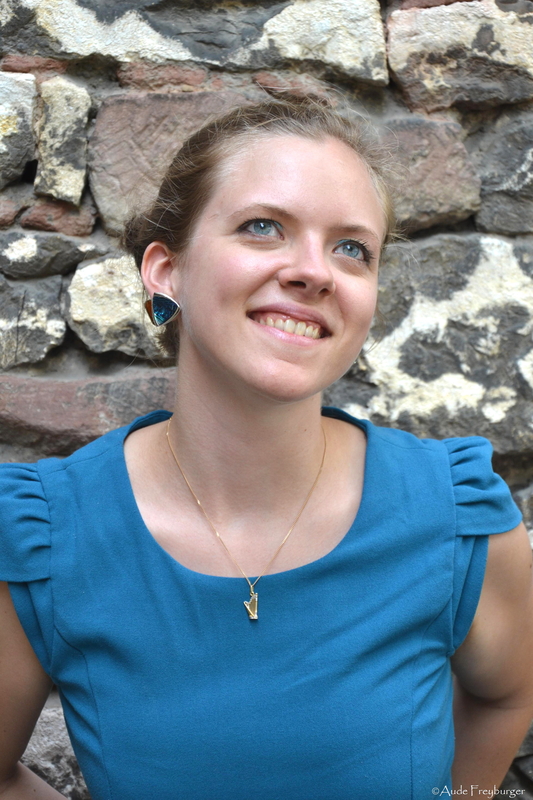 Esther is a professional and versatile harpist living in Basel, Switzerland. She gives many concerts and is happy to play at your private events (weddings, dinners, birthdays…). 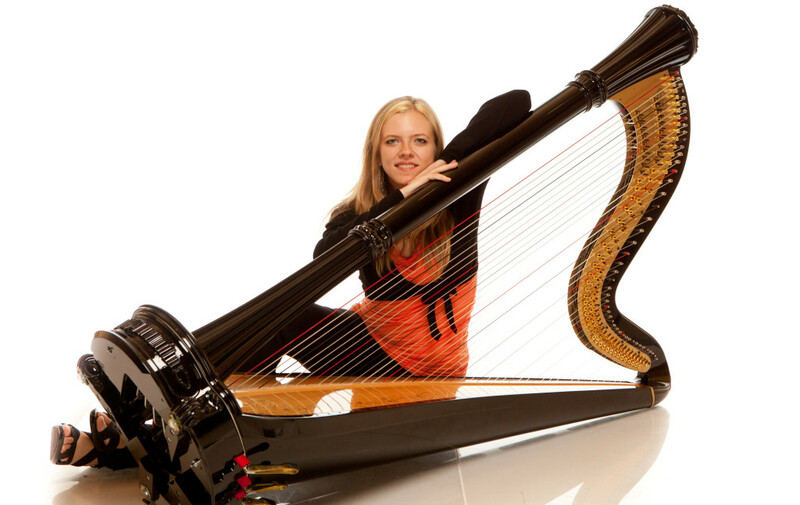 She collaborates frequently with jazz musicians, plays in orchestra and as a soloist and is a dedicated harp teacher. Learn more about her next concerts and activities and enjoy the browse ! 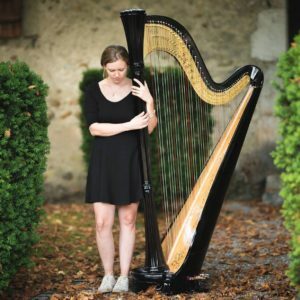 Esther Sévérac was born in Geneva and is currently based in Basel, Switzerland, working as a free-lance harpist with a repertoire reaching from classical solo concerts to jazz ensembles. She regularly collaborates with saxophone player Niko Seibold (duo harp and saxophone Harpkissax and jazz quartet Niko Seibold’s European Song) and with vocalist Yumi Ito (duo harp and voice and in the large ensemble Yumi Ito Orchestra). She is also a member of Orbitarium, an electroacoustic improvisation trio with drums, bass and harp. In these different ensembles she keeps experimenting with harp amplification and sound effects. Furthermore it gives her the opportunity to play in uncommon places for harpists such as Bird’s Eye Basel, Rössli Bern, Jazz Club Uster, Monkey Bar Basel, Boui Boui Festival Brenzikofen, Geneva Airport , Café Con Letras Basel, JazzCampus Basel and many more. Her most active classical ensemble is Duo Estival with flutist Anne-Lise Teruel. She is also the co-founder of the music theater quartet Les Baronnes Underground (percussion, drumset, flute, harp) where she extends her capacities to singing, acting, arranging music and playing different instruments. Classical performances as a soloist include collaborations with the Basel Symphony Orchestra, I Medici Orchestra Basel and Sinfonietta Dachau. 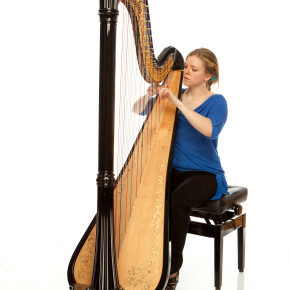 She also realizes harp recitals with diverse and individual programs. 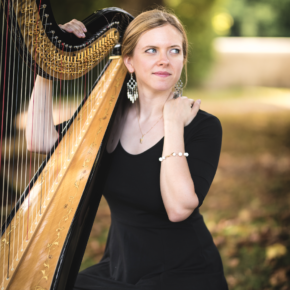 She studied the harp at the Music Academy Basel with renowned harpist Prof. Sarah O’Brien and holds two master degrees in solo harp performance and music pedagogy. 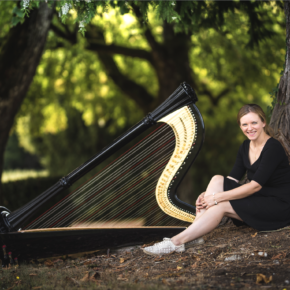 She participated in masterclasses with famous harpists such as Xavier De Maistre, Isabelle Moretti, Skaila Kanga, Emmanuel Ceysson, Jana Bouskova, Ursula Holliger or Susann McDonald. She also had the opportunity to take single lessons with pianist Lester Menezes at the Jazz Campus Basel and to play in classical/jazz crossover projects conducted by Guillermo Klein. 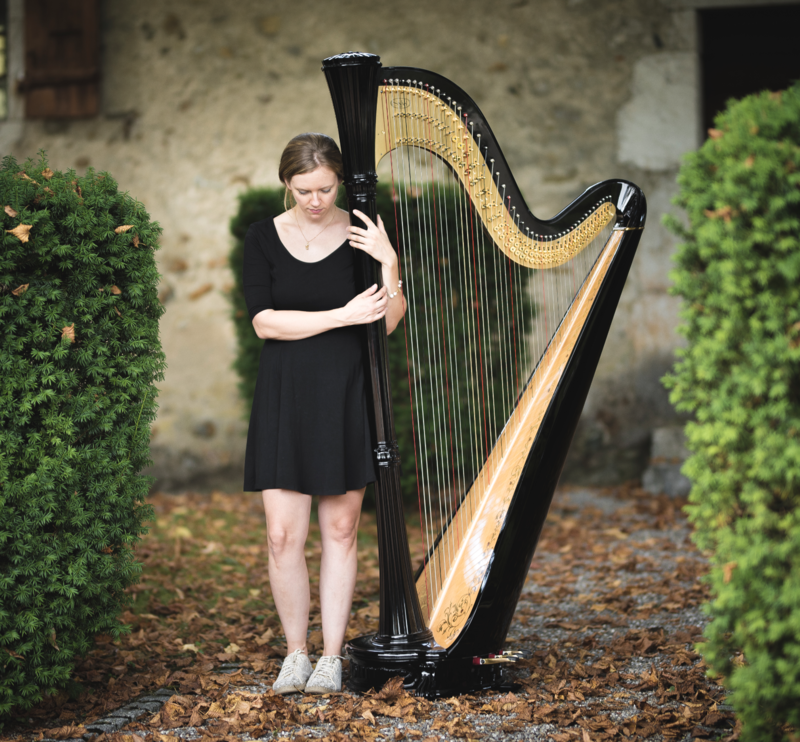 She frequently takes jazz harp lessons with Park Stickney and is a multiple participant in his workshop « Jazz Harp Camp » near Yverdon/CH. 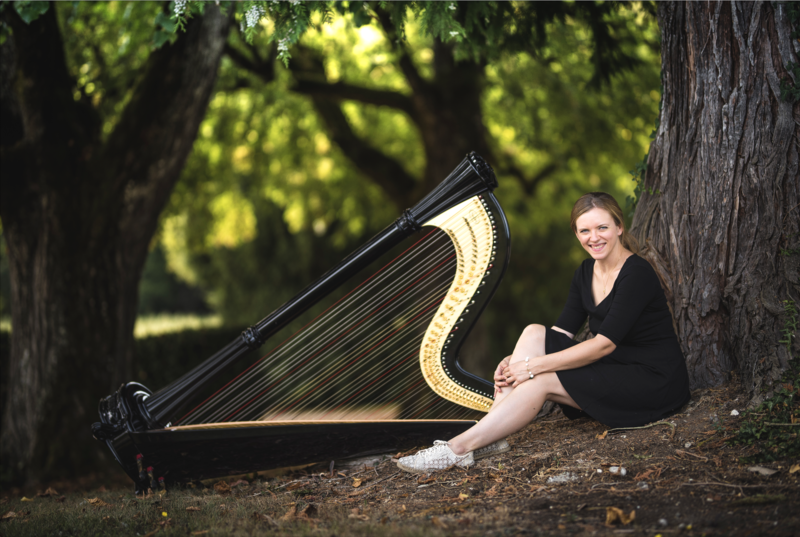 Esther played solo harp in the Swiss Symphonic Youth Orchestra (SJSO) for five years and performs regularly with the Basel Symphony Orchestra and other orchestras in the Basel region. Being a very dedicated educator, she teaches a number of private students as well as music school harpists at the MCA Academy in Neuchâtel (CH). 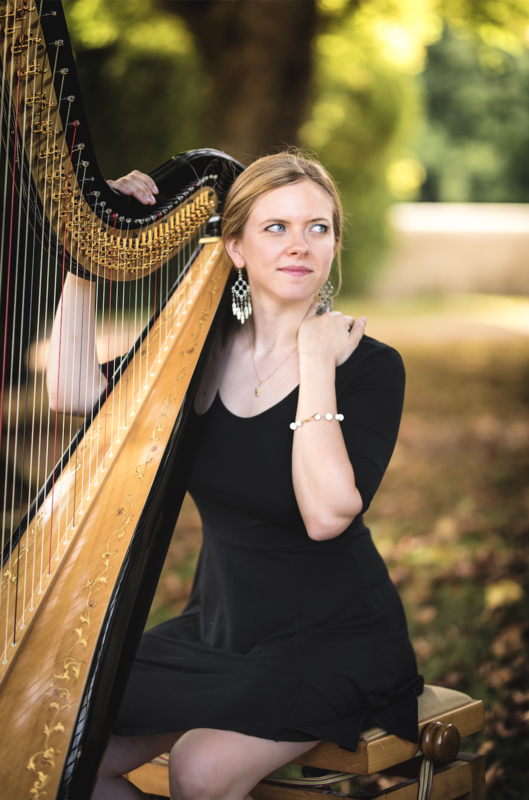 Prior to her academic career as a harp student Esther earned a bachelor’s degree in multilingual communication from the University of Geneva. Esther regularly plays solo with a varied and interesting repertoire. The pieces played go from classical, to romantic, pop, jazz, electric and more. She sometimes sings and plays together. She plays at private events like weddings, parties or receptions and also plays solo concerts, with the pedal harp or the celtic harp. 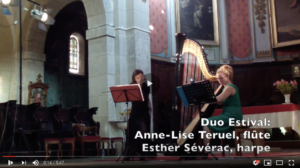 The members of the Duo Estival, which is based in Basel, are Anne-Lise Teruel (flute, alto flute, piccolo) and Esther Sévérac (pedal harp, celtic harp, voice). 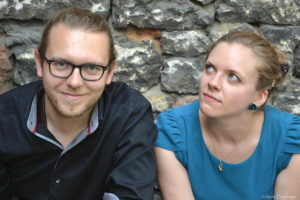 The two musicians met during their studies in Basel and began playing together in 2011. Since then, they have built a varied and inspired repertoire and play regularly in concert. 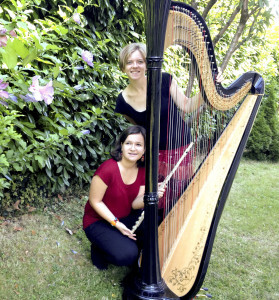 Next to the existing repertoire for flute and harp, they play their own arrangements and are always curious to find new combinations of their different instruments. 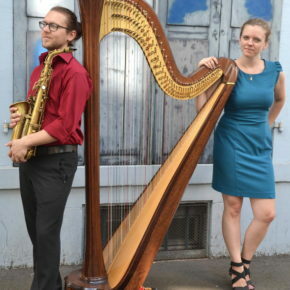 Harp and Saxophone – a kiss between two worlds. 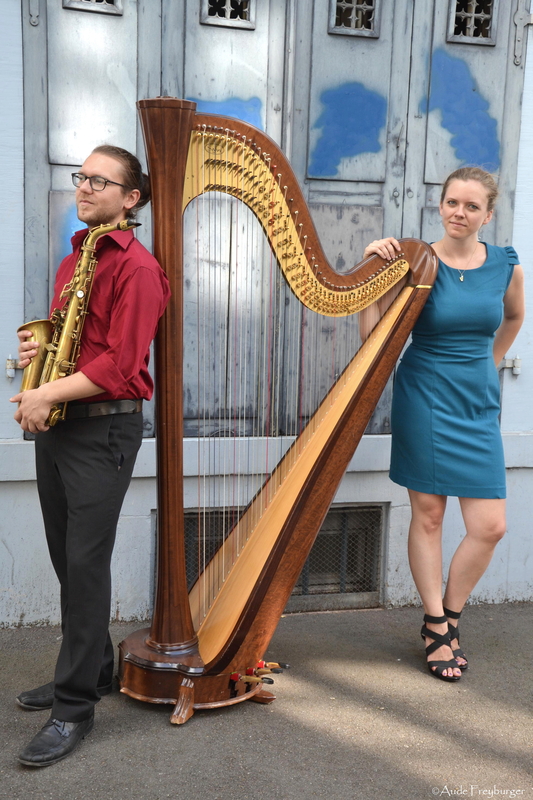 Even more: classical and jazz music embrace Folk and Pop songs – delicate strings set ground for strong wooden metal and fragile wind set on fire by harp bop! 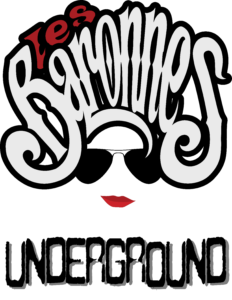 The « Baronnes Underground » are a music/theatre quartet. 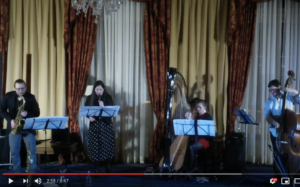 Band members are Cécile Unternährer (percussion, mallets), Anne-Lise Teruel (flutes), Anna Tuena (percussion, drumset), and Esther Sévérac (harp). They play their own compositions and arrangements and their inspiration comes from everywhere (Asterix, Lawrence of Arabia, West Side Story…). They like to try other instruments (melodica, cazoo, electric harp), sing and experiment. They’re always looking for original projects and an element of surprise! 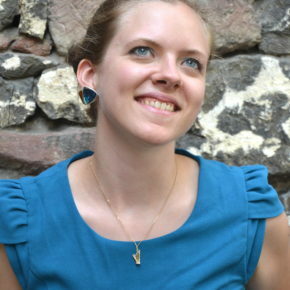 Esther Sévérac has a Master diploma in pedagogy since june 2015. 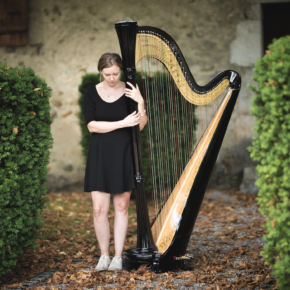 She gives private harp lessons in Basel and teaches at the Music Academy MCA in Neuchâtel (Switzerland). 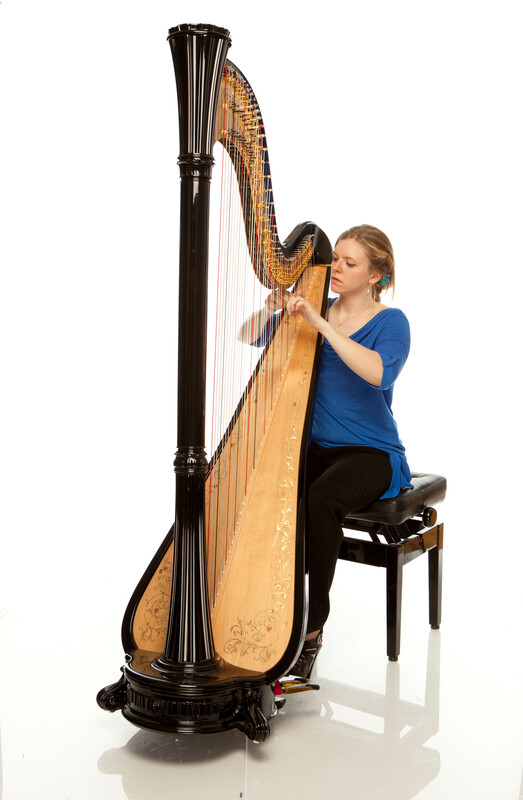 She is open to all musical styles (classical, pop, jazz, celtic, or other) and teaches on celtic or on pedal harps. She matches the level and pace of the learner and will adapt herself to your needs. If you are interested in discovering this magical instrument, don’t hesitate to contact her for a free first trial lesson. Learning music is without age limit ! © 2019 Copyright Esther Sévérac.